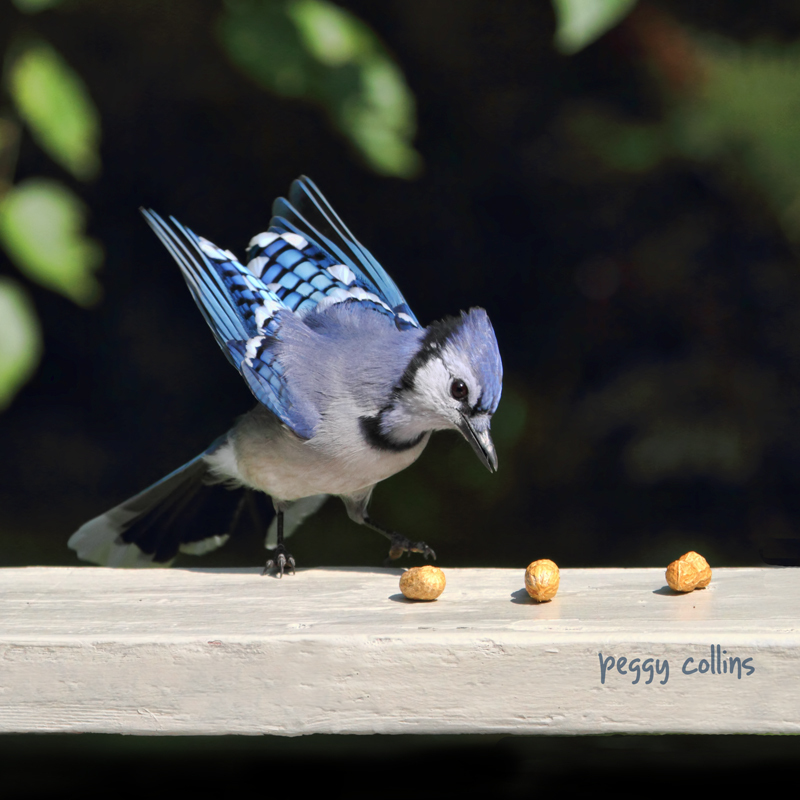 We don't usually get blue jays here on the Sunshine Coast of British Columbia but right now there's a big kerfuffle (is that really a word?) 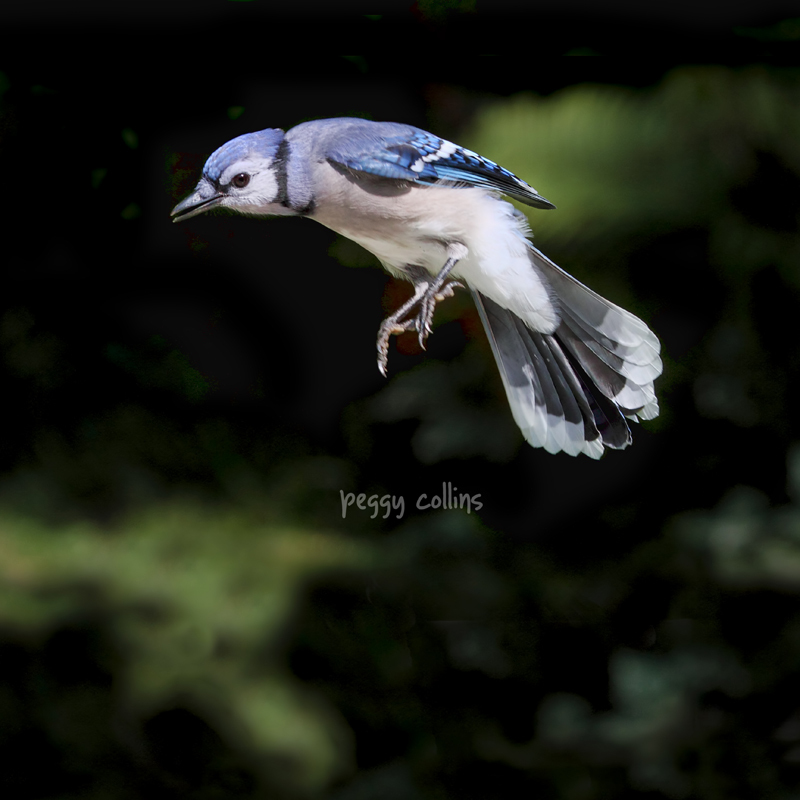 because a lone jay has shown up in Gibsons, on the coast. Many birders are cruising the area where it's been spotted, trying to get a glimpse of it. I haven't, however, made the hour-long trip down the coast because I was recently in Ontario and the place is lousy with blue jays. So I had the opportunity to photograph them and make some comparisons between them and the kind of jay we get here on the west coast, called the Steller's jay. Honestly, I find that blue jays are much more polite and not nearly as greedy as Steller's jays. If I even dare step out on my back deck with a peanut, a gang of Stellers immediately mobs me. I suspect they even have X-ray vision, or maybe a really good nose (or beak) for the smell of a peanut. However, I noticed that sometimes I'd put a few peanuts in a shell on my parents' back deck and they'd be there for hours without a blue jay gobbling them up. Never happens around here, not with the piggy Steller's. Another thing...blue jays have quite a melodic call. Not too loud, and kind of sweet. 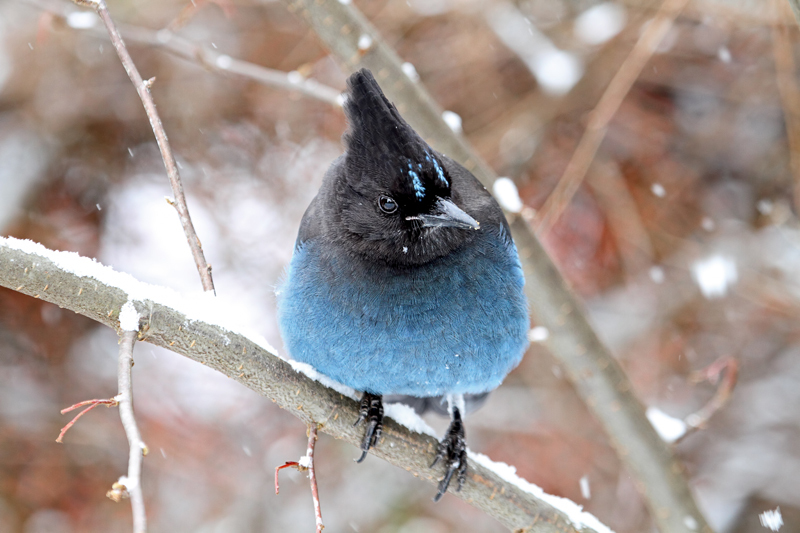 A Steller's jay? Squawk, squawk, squawk, like metal grating. Not at all pleasant. And did I mention they travel in gangs? So there's always a bunch of them squawking all at once, especially if you happen to be holding a peanut or two. I also must admit I prefer the look of blue jays. Maybe I'm being unfair to our B.C. jays, but I think not. I'll let you be the judge. 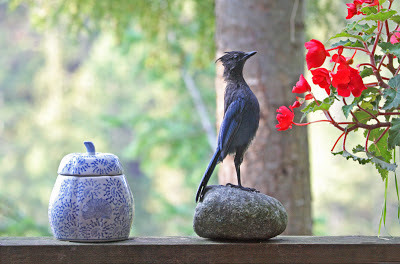 First I'll share two pictures of blue jays, and then two of our local Steller's jays. Oh, those Stellar jays! They are definitely the bad boys (along with the crows) in our garden – noisy, aggressive and obnoxious. I've thrown rocks at them and they just yell at me more. I have to admit they are gorgeous, though. I don't think I've seen the regular jays. They sound like much better inhabitants. But those Stellars are amazing to look at!